The super rich can pretty much buy whatever they want. Homes in multiple cities, states, countries, and continents. Insanely expensive cars that cost more than many people’s houses and condos. Private planes with interiors that rival the most luxurious hotel suites. Heck, if they really wanted to, and some do, they can buy their own islands (Sir Richard Branson). But you really aren’t a true billionaire until you’ve commissioned your very own, very huge, very expensive mega yachts. A yacht that features all the comforts of home and more. Like a helicopter pad and submarines. These yachts are so lavish, so well equipped, and so expensive that those sailing on them want for nothing. Sure, they can’t create peanut M&Ms in the middle of the Indian Ocean if they are all out on the ship, but pretty much anything you want is at your fingertips. And trust me, as soon as the ship is within range, if you really want those peanut M&Ms the helicopter or speed boat attached to the mega yacht can be dispatched to fetch them in no time. More than anything else, the mega yacht is a symbol of power and wealth. It is an ocean faring Ferrari. It is a floating display of the size of your manhood… I mean bank account. 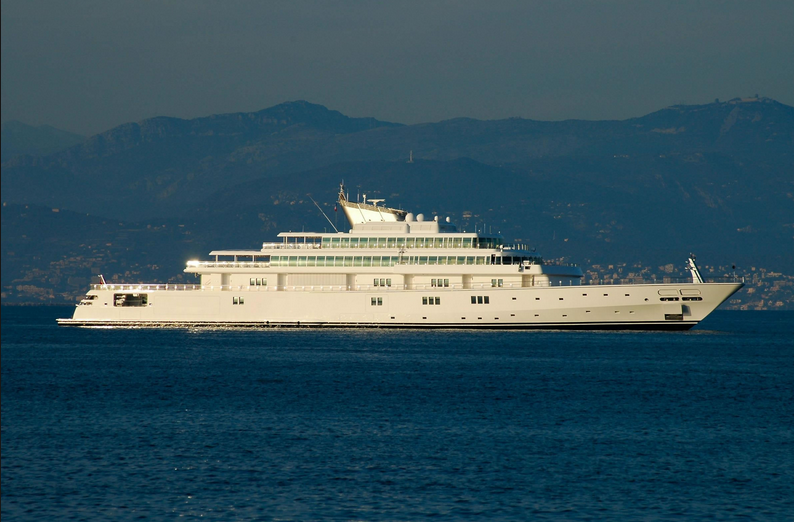 Let’s take a look at the Top 10 most expensive yachts. They are truly amazing. This yacht was originally owned by Larry Ellison, the CEO of Oracle. Its current owner is music and film mogul David Geffen. This yacht has often been called a floating mansion. It is, of course, fully furnished with more amenities than you or I can even think up. It has a basketball court that doubles as a helicopter pad for those middle of the ocean peanut M&M runs. This yacht has five floors, 82 rooms, ad four propellers that allow it to cruise the seven seas at the speed of 33 MPH.